Ever get sick of your daily routine? Waking up lacking motivation and just wanting to escape your treacherous daily life that you've grown accustomed to. For Kim Baker (Tina Fey) this was very much so the case. 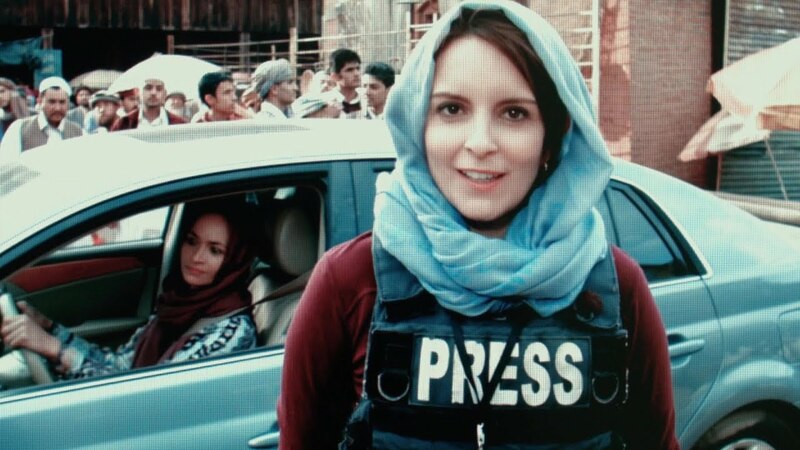 So much to the point that she would give up the safe confines of her office job to travel to the Afghan war zone to report live events, putting her own life at risk. Adapted from the novel 'The Taliban Shuffle' which has author Kim Barker retell her story and experiences from Afghanistan, Whiskey Tango Foxtrot overall is a enjoyable movie. For a film set in such a dangerous territory, the film keeps quite a light humoured approach to everything from the reporting Baker does to even how the military handle things. The tone does allow the viewer to have a pleasant experience throughout most of the film as you can expect a joke to be around the corner in most events. 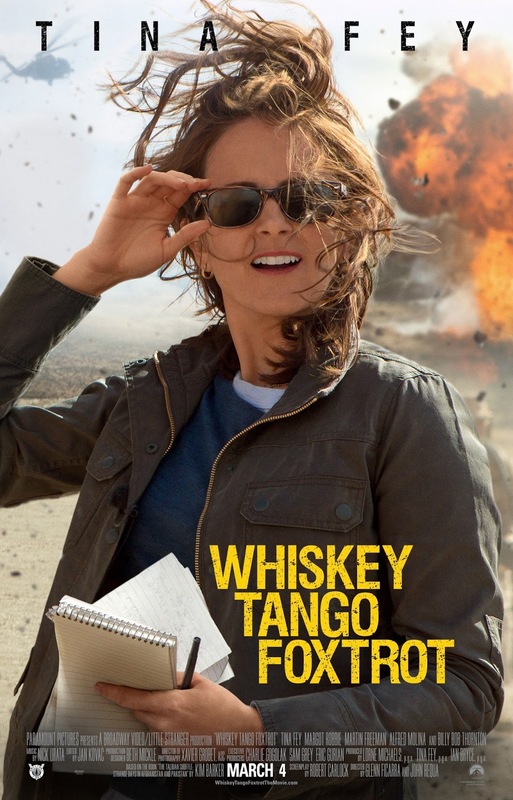 This is carried by the talents of Tina Fey throughout the film who's comedy prowess shines here and works fantastically. If this performance was poor, the whole film would be a shambles but luckily for us, Fey brings a good performance that will surely bring the viewer entertainment. The film is perfectly suited for Fey as she looks to bring excitement to her life after being restricted for many years. She doesn't hold back with this and gets deep into the action in Afghanistan. Fey also interacts very well with her fellow co stars and no more so than with Martin Freeman. Now when Martin Freeman showed up on screen sporting a Celtic scarf and speaking in a Scottish accent, I wasn't looking forward to seeing more of him throughout thee film. However he did grow on me very quickly as he brought a good performance to the film as Bakers eventual love interest Iain MacKelpie. His quick fire insults and use of swearing worked to great effect and seemed like it could've rolled straight off of the tongue of a Scotland native. This performance could've been a disaster but a combination of Martin Freeman's abilities and good writing for the character, it was able to be pulled off successfully. Maybe just cause I am Scottish, I found this very enjoyable and one of the best parts of the film. Fey and Freeman worked tremendously with each other. The story does have a lot to it in terms of what goes on. There are many events throughout the film that lead it to be quite clunky. There isn't one main focus throughout the film as it is just a combination of the experience Kim had whilst in Afghanistan. This does make thee film feel overfilled at times and does go against it. Due to this there will be many points in the film that will happen and be left only to be returned to much later on. By that time though, you forget that these encounters even happened until it reminds you. In all fairness though, it was better to have this rather than constantly overlapping events making the film confusing which easily could have happened. It's also safe to say that the film does sort of lose some of its power when it gets to the end of the film. With the excitement of war and constant partying in the first hour or so, it quietens down and this becomes less eventful due to the lack of support Baker gets from her network. Also some of the characters such as Margot Robbie's Tanya Vanderpoel fade out of Bakers life and in doing so does the shenanigans. Good performances from Fey and Freeman make this an enjoyable watch throughout the film. Story does feel a bit overfilled at times and eventually does slow down but there is most definitely enjoyment to get out of Whiskey Tango Foxtrot! So have you seen Whiskey Tango Foxtrot? If so what did you think of it? I hope this review was useful for if you are thinking about seeing the movie. Once again thank you for reading my review, it is much appreciated!